WipeErase White is a white dry erase film with a white gloss, hard coat finish with a permanent adhesive. WipeErase White has a chemical and scratch-resistant UV hard coat and a clear gloss surface that safeguards against ghosting or staining from ink. Its anti-graffiti properties also allows for easy removal of permanent marker, such as Sharpies. Typical applications include indoor dry erase or planning boards, menu boards, conference room walls, courtroom graphic displays, maps, calendars, sports coaching, hospital message boards and many other applications where different information needs to be communicated. When compared to other high quality dry erase boards, WipeErase White is remarkably easy to erase. 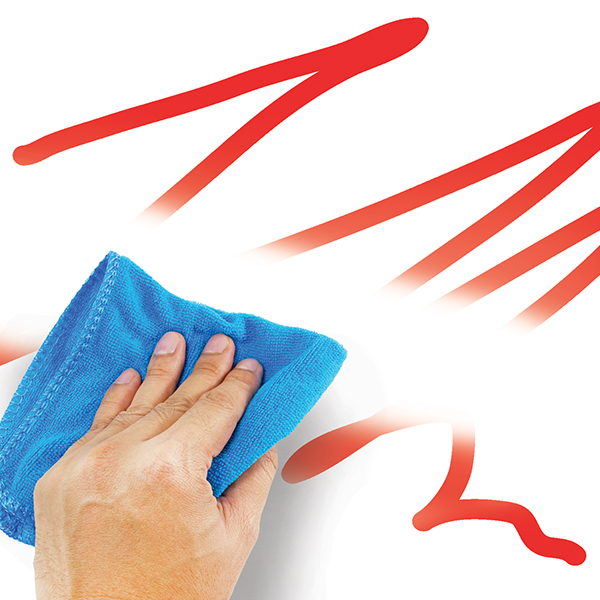 Its anti-graffiti properties also allow for easy removal of permanent marker with rubbing alcohol. 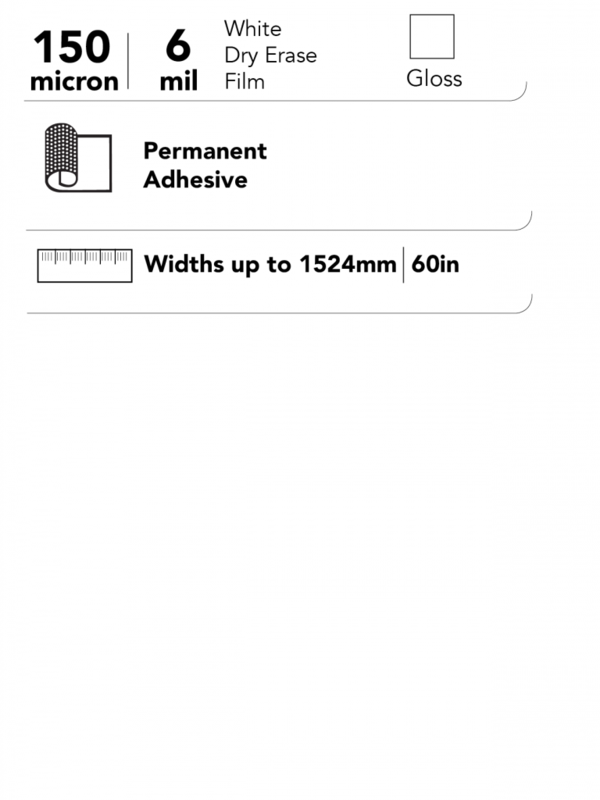 WipeErase White is a 6 mil (150μ) durable high quality dry erase film with a white gloss, hard coat finish and permentant adhesive protected by a PE coated Kraft release paper siliconized on the release side. Possessing anti-graffiti qualities, it offers a truly superior combination of resistance against scratches, abrasion, water, solvents, stains, and chemicals. This specialty film is for indoor use and not printable. These films are UV printable.